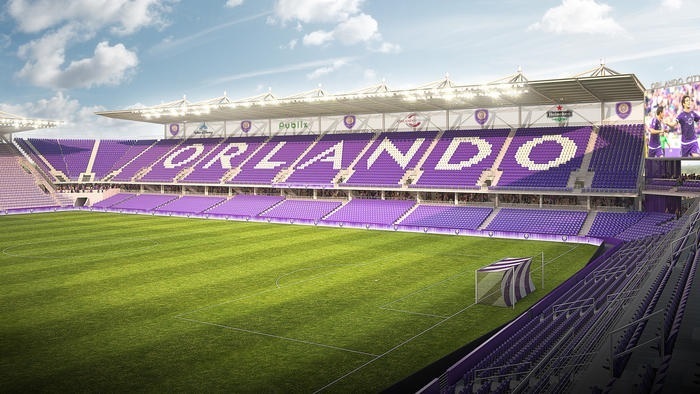 Despite today’s City Council vote, a temporary injunction was filed against the City of Orlando attempting to stop the sale of required land for the controversial downtown Major League Soccer stadium. The complaint for injunction relief was filed in state court and asks for a full judicial hearing to prevent the sale of city land based on Florida statutes governing properties seized by eminent domain. The plaintiffs are suing the City of Orlando in violation of FL statute 73.013, which governs covenants of properties taken by eminent domain. The potential illegality of the pending sale stems from the previous eminent domain actions taken by Mayor Buddy Dyer to acquire the land in question as he hastily attempted to force the Parramore location for the new MLS stadium. In his rush to stop the ongoing bleeding caused by his numerous blunders, Dyer forgot the ramifications of his prior use of eminent domain to acquire the stadium site. As many will recall, Faith Deliverance Temple in Parramore stood up to the Mayor and forced the City of Orlando to ultimately drop their eminent domain case against the church. However, Mayor Dyer did seize other land surrounding Faith Deliverance Temple by eminent domain while he was trying to intimidate the church into selling their land for the soccer stadium. In January 2014, Circuit Judge Patricia Doherty ruled in favor of the City of Orlando in the first eminent domain case for land next to the church and the City was ordered to deposit more than $3 million as an estimate of the parcels’ value. With these properties, Dyer hastily made the decision to close Parramore Avenue and shift the stadium location to avoid an actual court case against Faith Deliverance Temple, which attorneys predicted would favor the church in the first real test of Florida’s new eminent domain laws. 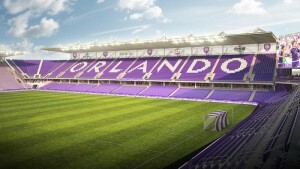 At the time of the eminent domain seizures, City of Orlando spokeswoman Cassandra Lafser told Law360 in an interview, “The public purpose was confirmed by the court, and the city was awarded the two properties located at 639 West Church St. and 607 West Church St.” The stadium is planned to be built right on top of the 639 West Church Street property, among other city parcels, even after the proposed shifting of the site. The city also demolished a warehouse that stood on the land in question to prepare the site for construction. Other plaintiffs include the Peabo Child Care Center located just blocks away from the proposed stadium site, the Racial and Social Justice Alliance and the Women of Color Leadership Coalition. Parramore residents and business owners have not ruled out taking further legal action for damages should the project continue. The filing of the temporary injunction was simply the first response to the city’s action being taken today. “We’re hoping justice will prevail for the residents,” said attorney Peri Sedigh. Because of Dyer’s reckless and hasty actions leading up to this point, there are still serious legal hurdles further complicating this entire project. 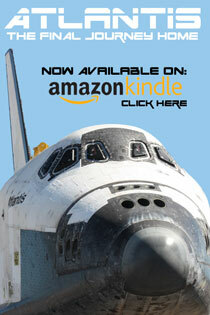 The contract approved by the City Council provides for 10 days in case of any legal actions related to the matter. “The people want their day in court,” Gelzer added. 4 Responses to "Temporary Injunction Filed Against Orlando MLS Stadium Land Sale"
You can’t expect different results or change when you vote for the same people or don’t vote at all. Hard to know when to vote when the city moves.elections. why not have them in august? Runoff in november. Even saves taxpayer money. Thank you Geltzers for standing up for us. Orlando taxes are already spoken for and even the Devos Magic is n o longer paid just with tourist dollars.The future shortfalls then get paid by who else? Paramore and other city residents. Who could.never afford a game. Who owns the soccer team? Could be organized crime. At least the county couldn’t tell me. The citrus bowl has to be a moneymaker for the city with soccer thedre. Why ruin that? Another good point, John. The Mayor and City Council keep changing local election dates hoping for lower turnout and it keeps working, sadly. It is a waste of local money and worse, it discourages participation from voters. On the soccer front, it is well known the sport is full of corruption at the international level and it’s not a stretch to say the billionaire Brazilian owner figured his money would speak louder than the voices of Orlando’s residents with this Mayor and Council. Now the soccer stadium will actually compete with the city’s public venues as well.